Today, one of the biggest threats to homes in South East Queensland is termites. If you were to dig in any suburban yard, you will eventually discover evidence of termites. This is their natural environment. Termites break down debris, adding nutrients to the soil and making termites ecologically beneficial. However, these same feeding behaviours can cause severe damage to our homes. Termites feed primarily on wood and are therefore capable of compromising the strength and safety of an infested structure. Termite damage can render homes unlivable until a termite treatment and expensive repairs are done. We have always known that prevention is better than cure in all aspects. Pest prevention is better than curing the pest problem whether it be common household pests such as cockroaches or destructive termites. Look out for termite tunnels. If you can see mud tubes on the exterior surface of your house, then there is termite activity close by. Subterranean termites dwell underground in loose, damp soil and their nest can be up to 200 metres from where they are detected. They access above ground food sources through these mud tunnels they create from mud and feces. You must closely inspect the areas around your house, especially where the wood is in contact with the ground. Tap along the window sills, door frames and foundation. 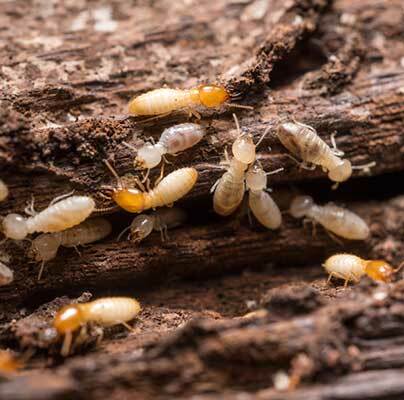 If you find hollow wood, then it may be an indication of termites. Termites enter most commonly through cracks and gaps found in the house’s foundation. So, any tiny opening into the house is a good place to look for signs of infestation, damage and termite tunnels. Interior damage is normally hard to detect until a full-blown infestation takes place. Termite damage sometimes appears similar to water damage. Other signs of termite damage include buckling wood, swollen floors and ceilings, areas that appear to be suffering from slight water damage and visible mazes within walls and furniture. Termite infestations also may exude a scent similar to mildew or mold. The most important thing for any homeowner is to have their home checked regularly by a termite specialist who knows what they are looking for. Hitman as part of their Complete Pest Package includes a free termite check. This means that clients have the peace of mind of a termite specialist checking their home annually. If they find signs of termites, then they can advise accordingly as well as giveg you guidance in making your home less palatable to termites.